Q. 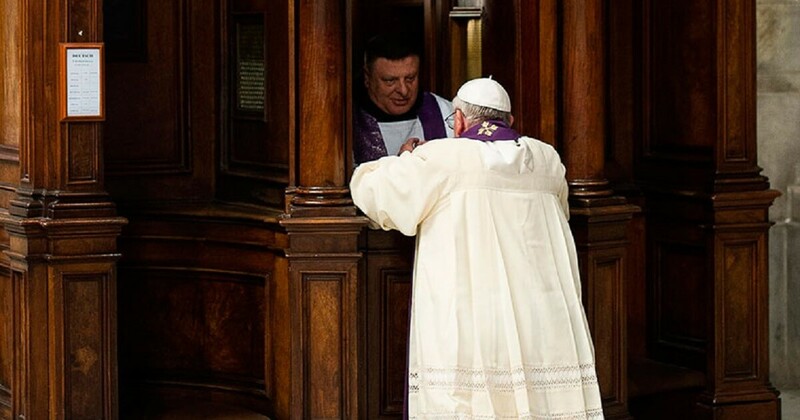 Why do we have confession? If God knows everything, why can’t we just tell him that we’re sorry when we do something wrong? A. Confession may be one of the most difficult parts of our faith for some. But for others, Confession is something they deeply look forward to. Your question is a good one. Let me offer some thoughts. First of all, it’s very true that “God knows everything.” We call that omniscience. So, yes, He knows everything you’ve done and He knows whether you are sorry for that or not. But there is a big difference between God “knowing” what you did and His act of forgiveness. For example, if you sinned against a friend with whom you were very close and then you felt sorry for that it’s possible that your friend would realize, just by knowing you, that you were truly sorry. But that doesn’t mean that you can just presume on your friends goodness and forgiveness. The best thing to do, in this situation, is to actually sit down and tell your friend you are sorry and to have your friend tell you that you are forgiven. This very human exchange brings about reconciliation. So it is with God. God is all merciful and wants to forgive use all our sins. But for true reconciliation to take place God wants you to actually say those words and then to hear the words, spoken by the priest, that you are forgiven. So Confessions is not only about God forgiving us, it is also about reconciliation with God on a human level. What’s important to understand is that God offers us forgiveness in His way. He forgives us through a human being. Who is that human being? It’s the Father’s Son who became one of us. Jesus is the one who offers the forgiveness of God and Jesus is both fully God and human. But how does Jesus do that now that He has ascended back into Heaven? Well, before He ascended He gave His divine power of forgiveness to His first priests, the apostles. They, in turn, passed that power onto others who passed it on to others down through the ages all the way to our present age. Priests, despite the fact that they are imperfect themselves, have the spiritual power of Jesus to actually speak His words of forgiveness to others. Therefore, when a priest says. “I absolve you” we must hear Jesus Himself, as the human face of God, saying to us those same words. Why did God choose to use priests to dispense His forgiveness? Honestly, we really don’t have a perfect answer to that question. Sure there have been wonderful writings and reflections and teachings on this subject throughout the history of the Church. But, in the end, we will only fully understand this mystery of how God gives us His forgiveness when we are in Heaven. For now, we must simply follow what Jesus taught and receive His forgiveness in the way we know He offers it. And on a psychological level, I, as a priest, have seen so many people benefit from actually hearing those words spoken from my mouth. So many times I have seen people come into the confessional scared and ashamed and walk our freed and at peace. So it really works. Make sure you give it a try soon!